Beautiful map with a dinosaur park, which is based on the new movie "Jurassic World". 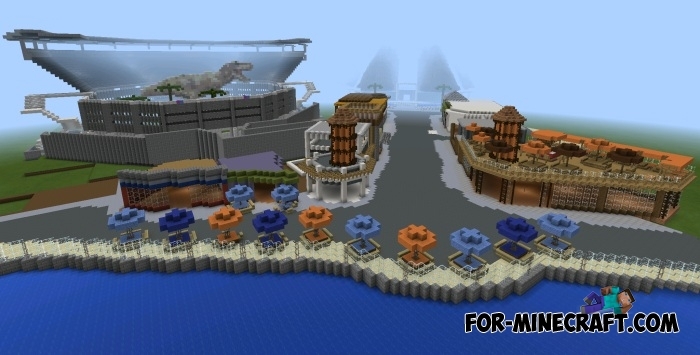 Hunger Games map for Minecraft Pocket Edition 0.11.0Friends, who watched a wonderful movie called "The Hunger Games"? wow the download link is the related post link.